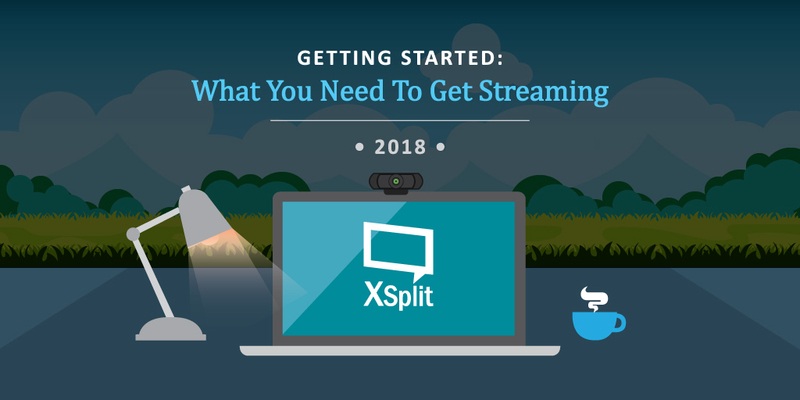 Streaming has become easier than ever with technology and streaming software being simpler and more accessible, if we do say so ourselves. There are some key things you will want to get going and right here in part one of our how to stream series we’re going to cover tech. You can go ham with tech, spend thousands, surround yourself with monitors, cameras and microphones and have a broadcast set up stronger than some large film productions. You can, but do you need to? Not really. First things you will need is a solid internet connection (we would say around a 5 MB/S upload speed) and a PC that can handle streaming (check our streaming software minimum/recommended system requirements for XSplit Broadcaster and XSplit Gamecaster. Next, you will want some streaming software and, well, we’re pretty fond of XSplit Broadcaster and Gamecaster. We will go over what’s different and why you may want one over the other in a future blog but here are the basics; Gamecaster is the simplest way to get started with all the features you need. Broadcaster powers some of the biggest streams you see online and is full of more pro features. Second, you’ll want a webcam. These days you can get a very solid USB webcam that can capture in 1080p and even have a solid microphone built in for an affordable price. Plug and play, recognised by our software and ready to go. Check out our list of hardware partners for some recommendations. That can be all you need, people will see you, hear you and be able to see a video game you’re playing on your PC. if you want to broadcast a console you’ll want a capture card. Again, these are more affordable and high tech than ever with very simple set up processes. We’d recommend something external with USB 3.0 (this puts the gameplay you’re capturing on your screen with almost zero latency). Again, you can check out our hardware partners linked above for some recommendations. From this base, you’re good to go! You can get online, broadcast gameplay, creative, talk shows or whatever you like! Stay tuned for more tips on how to make your stream even better.